By default, Web PIM access is not granted to users, but you can enable it. 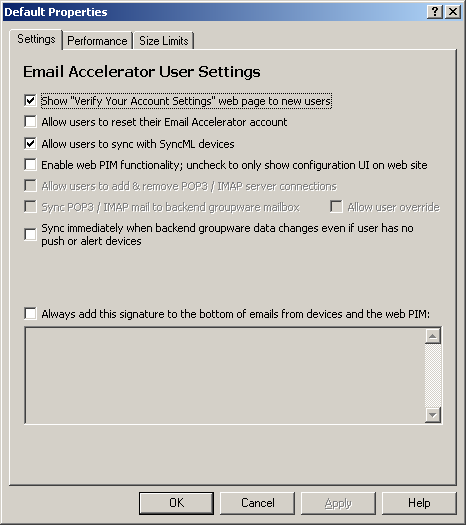 In the Admin Console, click Profile Settings > Email Accelerator > Email Accelerator User. Right-click Default, then click Properties. Select Enable Web PIM Functionality, then click OK.
For instructions on using the Web PIM, see Section 6.1, Starting the Web PIM for the First Time and Section 6.3, Using the Web PIM to Configure Device Synchronization Settings.